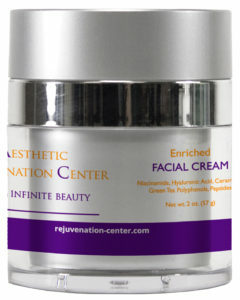 Choosing the best skin care products for each patient is something we take seriously. 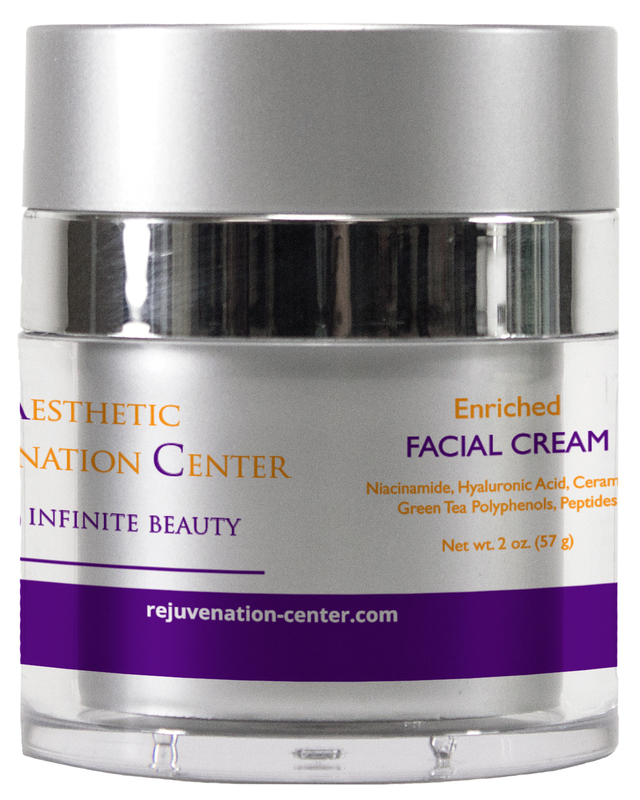 The Aesthetic Rejuvenation Center is pleased to announce we now have our own signature line of skin care products – personally selected by Dr. Freund and our other skin care professionals to provide the most effective products at great prices. Working with the best manufacturers, and using the finest professional and pharmaceutical grade ingredients, we have developed a signature line of skin care products including gentle cleansers, face and neck creams, acne treatments, dry skin care & prevention, and skin brightening products. Most of the products are designed for all skin types (even sensitive skin) and are free of gluten, paraben, sulfates, oil, colorants, and fragrances. Antioxidants, such as Silymarin, Ascorbic Acid (Vitamin C), Emblica, Curcumoids, Green Tea Polyphenols, Resveratrol, Caffeine USP, Vitamin E, Bisabolol, Co-Q10, & Superoxide Dismutase calm & soothe the skin & guard against free radicals. Our enriched facial creams contain Ceramide Complex (Ceramide NP, Ceramide AP, Ceramide EOP, & Ceramide-2) which mimics the Ceramides found naturally in skin to help prevent trans-epidermal water loss; keeping your skin hydrated, repairing the skin barrier, & improving elasticity and texture. Our Acne Treatment Pads are formulated with the purest pharmaceutical grade Glycolic Acid available combined with pharmaceutical active acne fighting Salicylic Acid USP; our Acne Treatment Wash & Gel is formulated with the highest medical grade Benzoyl Peroxide and is available in 5% or 10% solutions. 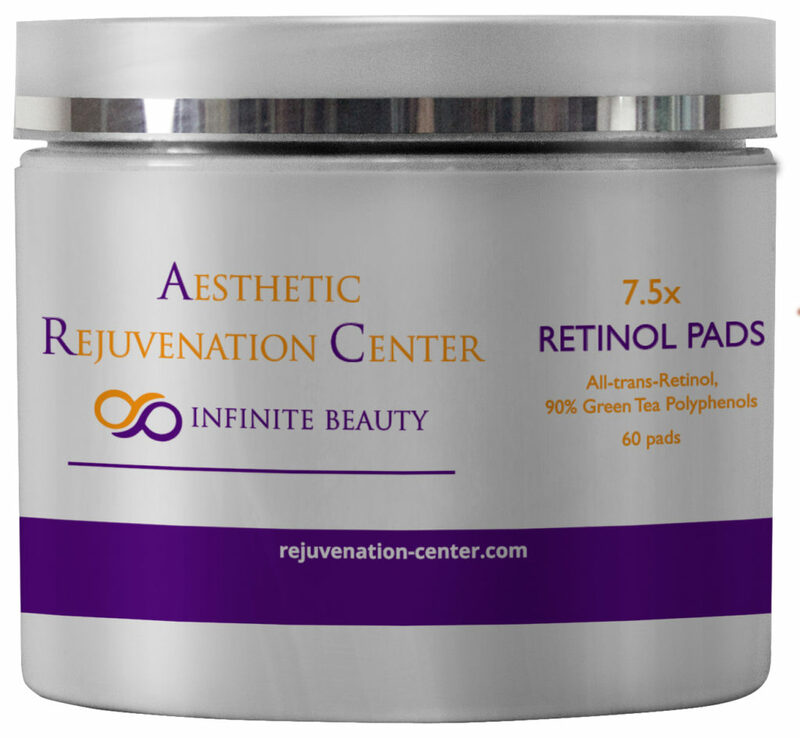 Our Retinol Plus Pads are available in 2X, 5X, 7.5X and 10X concentrated levels of all-trans-Retinol, they are “use and toss” for convenience. Our Eye Gel Eye Gel delivers the super hydration benefits of Hyaluronic Acid and is fortified with Liposome encapsulated antioxidants. Learn more about all our signature products here and talk to your skin care specialist at ARC about which products are best for you. In honor of Breast Cancer Awareness Month, we will be donating 5% of all sales in October of our signature products to the Susan G. Komen Foundation, so stock up!